Congrats! 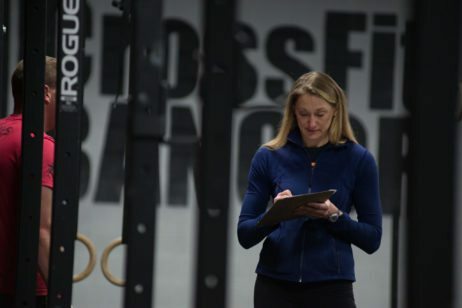 You made it through “The CrossFit Open” Weather you were registered or not, you experienced a mile stone in your CrossFit career! You should be proud of your accomplishments. So now that The Open is in the rearview, what does the coming year have in store for you? What are your goals? Lets take a look at how it all went down, and lets be 100% transparent in our OWN experience, because no one experiences the same thing. Perhaps it was a gut check of skills, maybe it lit the fire for you to work on some gymnastics, or maybe your strength. So how DO you do that? You can always ask a coach, we are here as your Mentor and your leader. Chances are we have seen you in action and can help guide you. It’s up to YOU to put the work in. And remember MORE isn’t always BETTER, train smart, with intensity but with purpose. Maybe now you’re ready to have some fun with it. Dive in, get your hands dirty and see what happens. Even so, what about programming? That’s where we’ve got you covered. Everyday the class is briefed at the white board, this is chance to choose your level of fitness for the day. Those looking to look better naked, lose body fat, maintain lean muscle-mass, and improve quality of life. Eager to learn and take on new and challenging movements and workouts, but is not looking to compete in local or online CrossFit competitions. Wants to become better mountain climbing, skiing, or pickup basketball. Excited to be challenged every day inside the workouts, but is also not looking to compete in local or online CrossFit competitions. Looking to train for the CrossFit Games Open. This track is geared towards the goal of improving one’s scores on the competitive stage, training with specific movements and weights that are seen in competition. What all this means is the goal is decided by the individual, scaling is still ALWAYS an option, but we like to offer a broad spectrum of options. Whatever your goal, remember to train smart, train safe and HAVE FUN! !